In Climbing out of Yesterday, Graham English recounts his experiences of growing up Catholic in a small country town before joining the Christian Brothers and becoming a teacher, a vocation that occupied the vast majority of his working life long after he left the Brothers. The stories in this book began as entries written under the nom de plume ‘Enda’ on the Catholica website. They are critical comments and reflections on growing up and growing old as a Catholic in Australia in the years from just after the Second World War until the present. 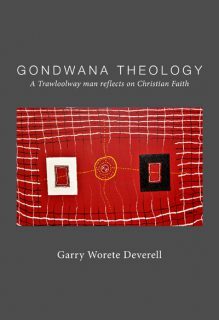 In this often self-effacing accounting of his experiences, Graham shares keen insights into that which has gone on both within and around him, never shrinking from uncomfortable truths. He believes that Catholics are participants in an unfinished Church, not observers of something that is complete and beyond criticism and change. Climbing out of Yesterday is part of Graham English’s ongoing participation in that criticism and change. Graham English grew up in a religious working class family in country NSW. He entered the Christian Brothers aged fifteen and remained in the Order for seventeen years. He began teaching primary school in 1964 aged nineteen. He was in the first cohort at the National Pastoral Institute in Melbourne in 1973 and studied at the Australian National University, and the universities of Lancaster and Sydney. He was a senior lecturer in the School of Religious Education at the Strathfield campus of ACU National. Graham is now retired and especially enjoys being married. Dr Graham English in conversation with the publishers of catholica, Amanda McKenna and Brian Coyne, about his book titled “Tales from Catholica: Climbing out of Yesterday”. For Graham’s confreres in the Christian Brothers and religious life, and for his many students over the decades, this book might serve as a memento and a huge dose of nostalgia. 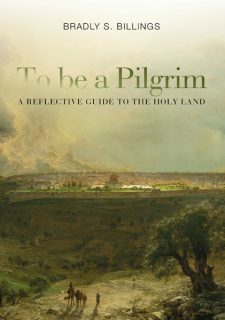 For younger readers, this book might serve as a valuable lesson about where we came from and how their Church and society has ended up as it has. For all of us, this book might serve to help inform us what we need to change, and do better, if we’re to create a better world – and a church more responsive to society’s needs today. Graham English has been a member of the online catholica community for many years. On our forum he writes under his pen-name, Enda, an affectionate nickname he was given many decades ago. He has become a widely respected member of this community for the insights of his commentaries and that, in turn, has led to this collection of essays. Reared in the Catholic faith in rural New South Wales, Graham knows the Church intimately from his 17 years as a Christian Brother, and a longer career as a lecturer in Catholic Education. His is a voice worth paying attention to as the Catholic Church in Australia grapples with the massive exit out of the pews, and the clerical sexual abuse tragedy, scandal and crisis. Like many of us on catholica, Graham writes from a position of great love for the religion that nurtured him and a great wish to see it return to a place where it is again widely respected in society. Graham English’s Climbing out of yesterday is the testimony of an honest and perceptive soul who has navigated the reefs and shoals of life as an Australian Catholic from the end of World War II. WATACers will not be surprised that the account of his journey is never dull, when we remember wearing tee-shirts with Graham’s cartoon ‘God is not a boy’s name’. And the import of his writing is as clear as his drawing. None of the 69 contributions to Catholica reprinted here lack interest and relevance to contemporary life. After a working lifetime devoted to Catholic education, all his pieces are not only well-informed historically but also enlightened with flashes of wit. Some, like ‘The second-hand stores’, are hilarious. ‘Uncle Henry Woodbridge’ is a story worthy of Henry Lawson. Hard truths are not side-stepped, whether of family or church, such as the observation in ‘Religion and meaning’, that ‘Clean water and the hygienic disposal of human waste have answered more religious questions than any other human endeavour’. 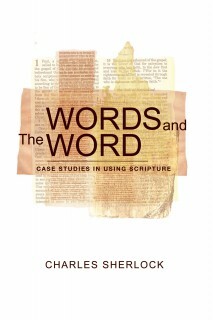 In writing of his life as a Christian Brother, Graham does not prevaricate in revealing that some of his religious colleagues and superiors were, if not bad, at least mad and dangerous to know. On the other hand, he writes with great affection and respect for many of them. As he writes in ‘Edmund Ignatius Rice’, ‘All the ones I remember with affection or gratitude talked about or witnessed to an encouraging, trusting, broad, exciting, poetry-reading God’. 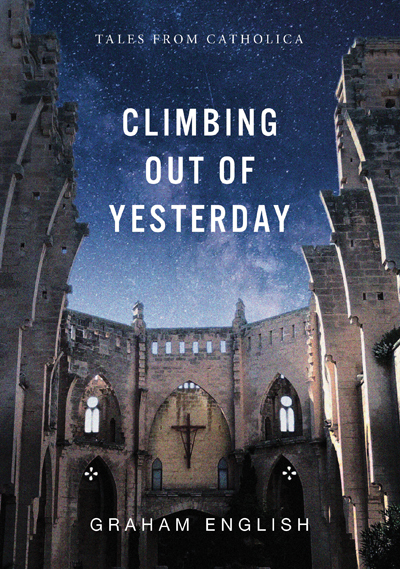 Among the most substantial essays is ‘Climbing out of yesterday’, which shares the book’s title. Here as elsewhere, there is no pretence of pious conformity. ‘The official Church has lost credibility because it does not listen’. A couple of pages earlier, Graham gives more of his cheerful impiety with ‘I do not believe there ever was a Pope Joan but God will cope when one day there is’. I recommend this book for insights into all our yesterdays and as an antidote to pessimism about our own and the Church’s future.